RTE's Greg Allen doesn't just talk a good game, he plays it very nicely too. 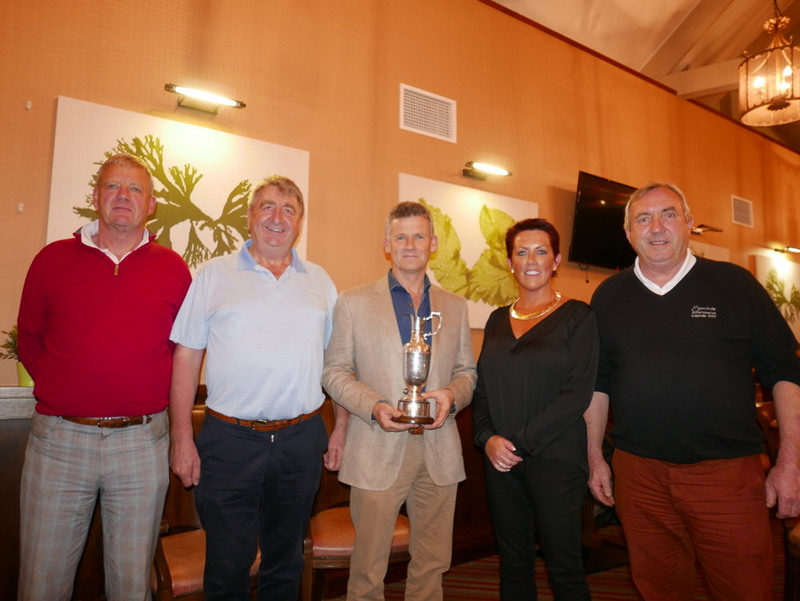 Perhaps it was the quality of the track that brought out the best in him as he captured the Mary McKenna Trophy awarded to the winner of the Irish Golf Writers' Association Championship at Bunclody Golf & Fishing Club. It wasn't the first time that Greg has lifted the lovely little claret jug either but his fourth victory. Congratulations Greg and our sincerest thanks to General Manager Caroline Dunne, President Michael Cowman, Captain James Conway and all the staff at Bunclody for their magnificent hospitality on October 26.